With our nation just celebrating its 238th birthday this week, I thought it might be interesting to discuss 7 interesting historical facts about Lexington, MA. While modern-day Lexington has much to offer its residents, there is a deep history dating back to the days of early colonization that is quite fascinating. Lexington was first settled in 1642 as a part of Cambridge MA. Lexington, MA was incorporated as its own town in 1713. The Battle of Lexington took place on April 19, 1775 and was the very first battle in the American Revolutionary War. The Buckman Tavern is where the 77 Minutemen gathered the night before the battle.The Buckman Tavern was the first Public House ever in Lexington, licensed in 1693. The Hancock-Clarke house was the destination of Paul Revere and William Dawes the evening of April 18, 1775 with the purpose of warning Adams and Hancock of the impending British invasion. The house is still standing, as it was declared a National Historic Landmark in 1971. There is still debate over whether the "Shot heard 'round the world", the first shot fired in the American Revolutionary War, was in reference to the Battle of Lexington or the Battle of Concord. While Ralph Waldo Emerson refers to the “Shot heard ‘round the world” in his Concord Hymn, historians stand by the fact the the first shot officially took place earlier in the day at the Battle of Lexington. 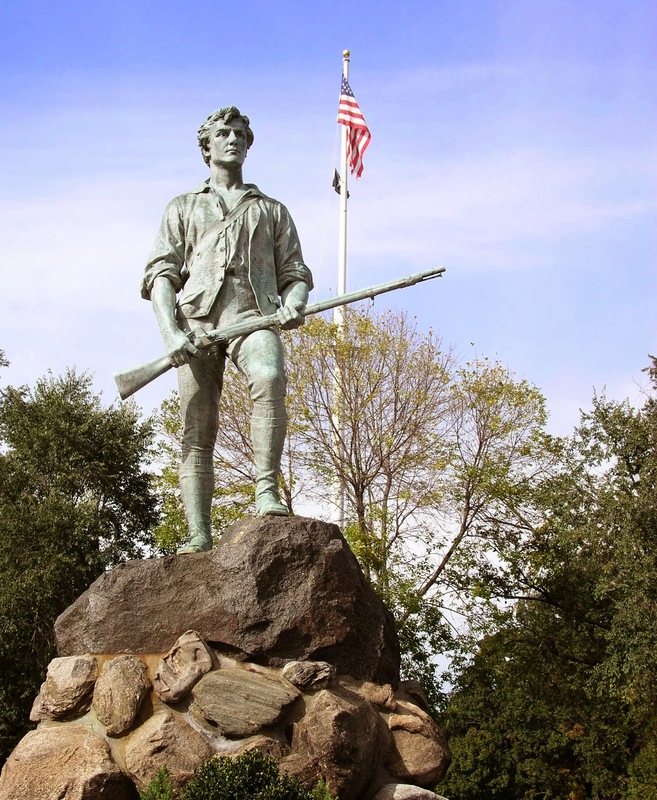 There are two Minuteman statues, one in Lexington at Battle Green and one at the North Bridge, the starting point of the Battle of Concord. This is definitely just a short list of the many interesting facts about Lexington, MA. Deep historical roots are only a small part of what makes Lexington, MA such an interesting place to visit or reside. If you’re interested in relocating to the Lexington area, please contact me. I would love to assist you in finding the right Lexington home for you!